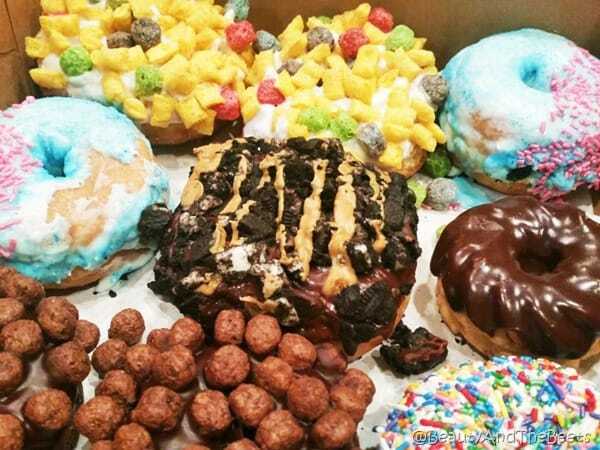 If you were to ask anyone who has been to Portland, Oregon, where they find tasty doughnuts, and most people will send you to VooDoo Doughnuts. Everyone has their favorites, but VooDoo is pretty popular and I happen to be a big fan. 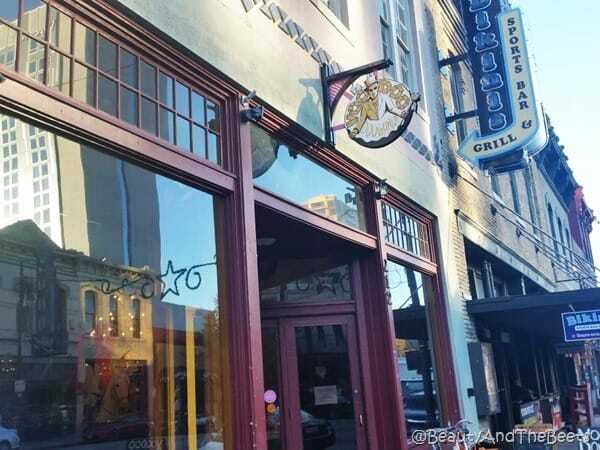 On a recent trip to Austin, TX, I was walking down the famous Sixth Street, and I found a VooDoo Doughnuts. I wasn’t terribly hungry, as we were just returning from lunch, but I had to have a reason to go in and grab a dozen doughnuts. How about I thank my Austin hosts for giving me a place to stay for the week? Perfect! 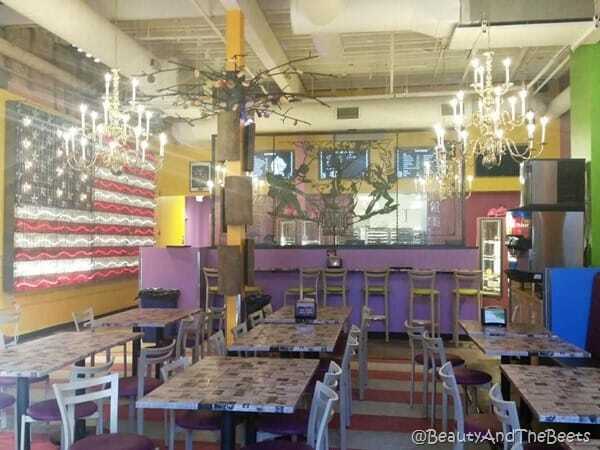 VooDoo Doughnut Austin is affectionately known as “Five” in the company, as it is their fifth store. I ventured inside, took one look at the doughnuts in the rotating display case, and decided I couldn’t share these round pastries of perfection. In the end, I got a few doughnuts for myself, and a box of a dozen treats did successfully make their way to my host. There is a great selection of doughnuts, from yeast to cake based, from Vegan to bacon topped, each doughnut was better than the last. 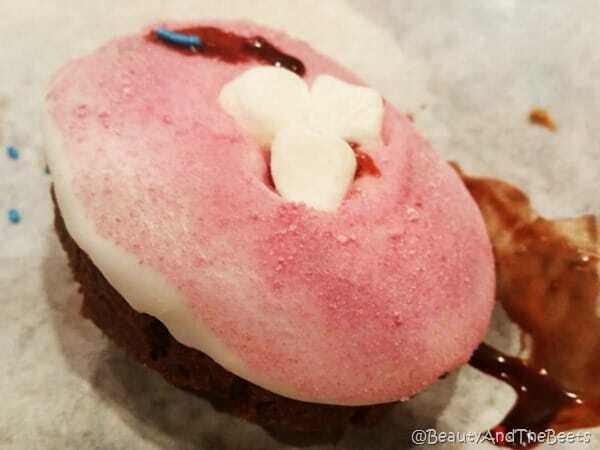 My personal favorite was the Neapolitan – a chocolate cake doughnut with vanilla frosting and a strawberry dusting. 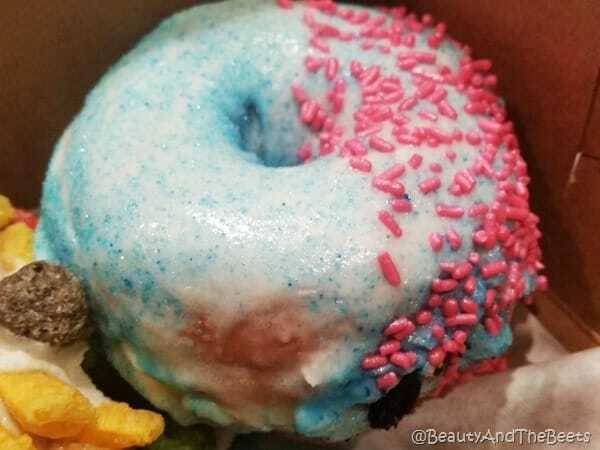 And the Cotton Candy doughnut was delicious. And I was surprised how much I liked it as I am not usually a super sweet doughnut liking Beet! 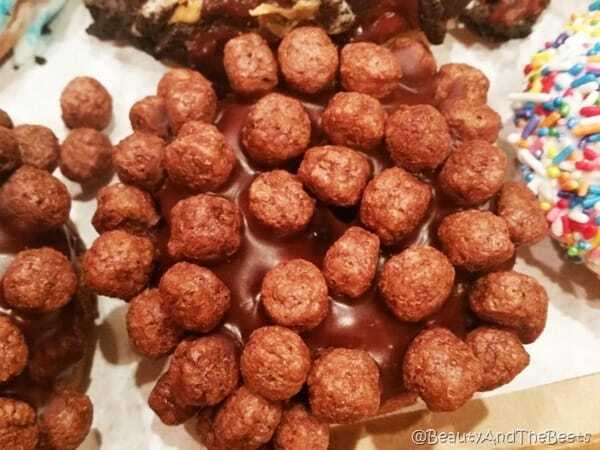 And a kid of any age would love the Triple Chocolate Penetration doughnut, with Cocoa Puffs……. …or maybe the Captain my Captain – with Captain Crunch cereal. 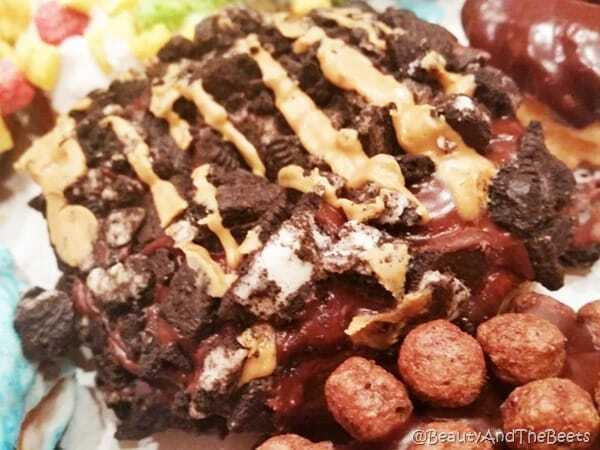 And Mr. Beet loved the Peanut Butter Oreo. 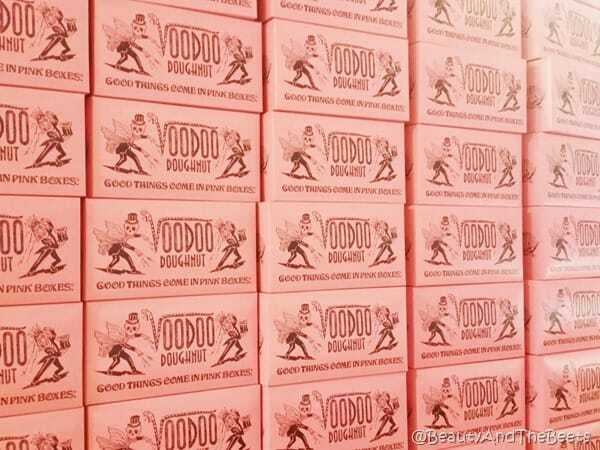 Just like the blue box from Tiffany’s, VooDoo Doughnut is famous for their pink box. 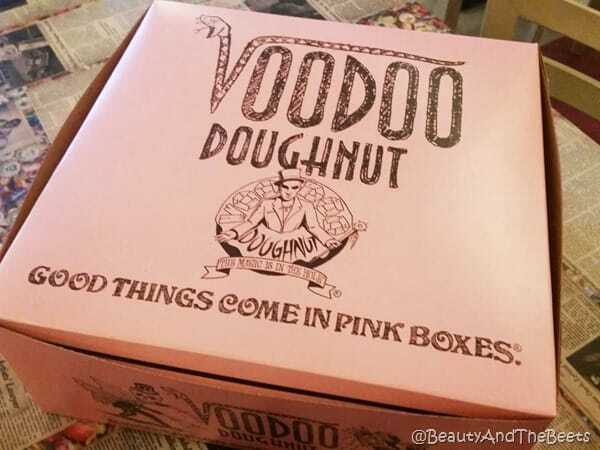 I just want a display of VooDoo pink boxes in my own kitchen. I am lucky that there is not a VooDoo in Orlando…yet. I am not sure my waistline could handle it. The best time to visit is during the day when the bars along Sixth Street are fairly empty. Expect a line during drinking hours in the evening. 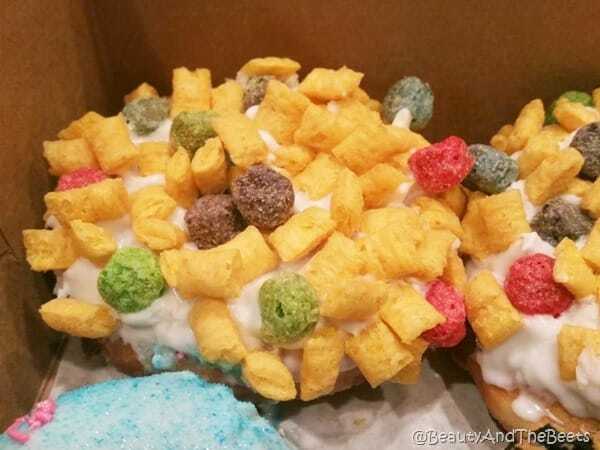 The good news is that VooDoo Doughnut is open 24 hours.5 out of 5 sprouts.